As a vegetarian, I always get asked the same question- "what do you eat?" If i'm feeling rather lazy or annoyed by that question my usual response is 'food', but every now and then I do make an effort to educate those who are not accustomed with a vegetarian lifestyle as to what I eat. The truth is, I eat most things that meat-eaters consume, but I have the vegetarian equivalent, there are so many meat free products out there these days it's so easy to be vegetarian. One thing I love more than anything is experimenting with food. I enjoy watching Masterchef and trying to figure out if I can make a vegetarian version of any of their creations and I enjoy also cooking from scratch and throwing ingredients in a pan not always knowing the outcome. After all, how will you ever discover new flavours without a little bit of experimenting? My latest food experiment has not been through cooking, but through subscribing to a monthly food box where I can learn about new products and use them for my cooking or meals with my partner. The Degustabox is a monthly subscription box - similar to beauty boxes like GlossyBox but for food. Each month you pay £12.99 for a box of foodie delights without knowing the contents - it's all a surprise. The October Degustabox was full of wonderful treats including Sweet Chili Sauce ( a firm favourite of ours), Special K Crisps, Alpha Bears, Cooking chocolate, Pain au Chocolat, Brioche, Jelly Beans (which I can't stop eating), cereal bars and vouchers for yoghurts. 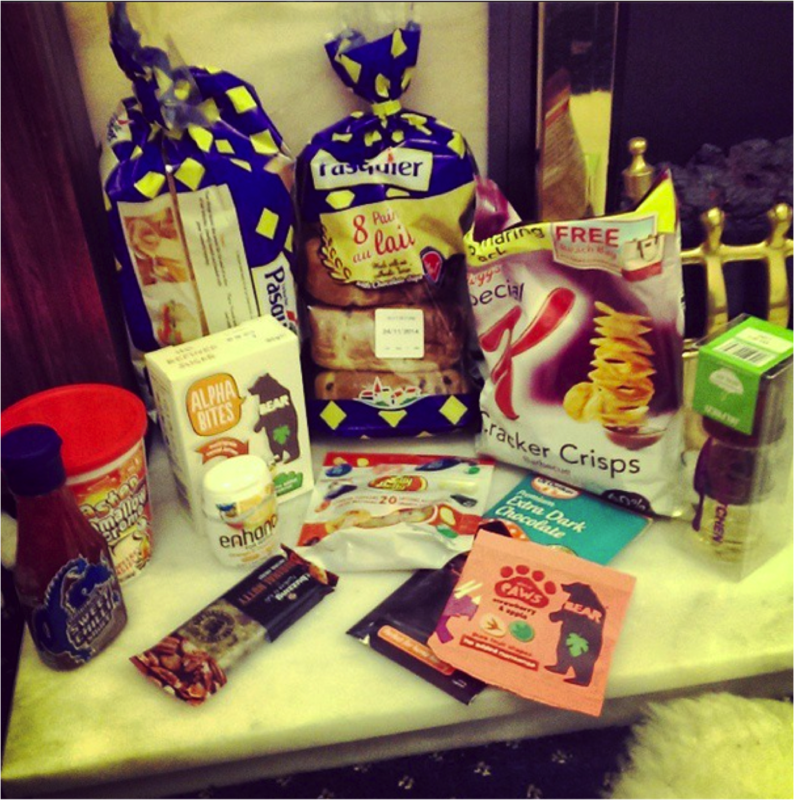 I was so impressed with all the items I received for £12.99 - I got more items in this box than I would if I spent the same amount in a supermarket and best of all, I was able to try new brands and products that I hadn't necessarily tried or was tempted to try previously. Both my partner and I have fallen in love with the concept of this box so much that we have decided to subscribe. As much as I cannot guarantee each month that the whole box will be full of vegetarian goodies - at least my partner who eats meat will benefit from the box too and it has also been a great chance for us to talk about food more often and discuss our preferences. Overall, I'm in love with the Degustabox* - much more than I originally expected. For foodies or those who want to inject a bit of fun into their diet or those who are looking for something a little bit different, the Degustabox is an ideal solution. I can't wait for my November box. Have you ordered a Degustabox before? That chilli sauce is one of my favourite things, we go through it faster than milk in our house!